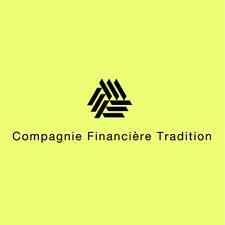 2013 has been an interesting year for Compagnie Financiere Tradition, which today announced its financial results for the first half of 2013. 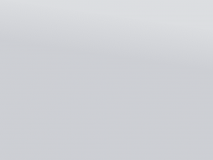 The company has garnered a significant degree of support from major banks for its new ParFX wholesale trading platform, which during the early part of the year began to take shape and was launched in April, symbolizing a general direction taken by major financial institutions showing that they are willing to support new trading platforms. According to Compagnie Financiere Tradition, with the support of some of the biggest spot FX market players in the world, this once again demonstrates the group’s ability to innovate and partner with key market participants to drive development. Citing challenging market conditions as a contributing factor, the firm made a particular reference to continued uncertainty regarding regulation of OTC derivative markets which has affected a number of the group’s customers. After a transition period in the first quarter, revenue stabilized in the second quarter compared to the same period last year which was up 1.4%. For the six-month period, non-IFRS consolidated revenue was 4.4% lower at constant exchange rates to CHF 510.8m compared to the same period last year. Despite a reduction in revenue, the non-IFRS underlying operating profit increased by 22.2% at constant exchange rates to CHF 46.7m representing an underlying margin of 9.1% compared to 7.4% for the equivalent period last year. 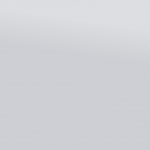 Net profit for the group increased to CHF 21.5m, up 66.6% at constant exchange rates. Half-year group’s results fully benefited from the cost reduction measures implemented last year and also aimed at reducing the group’s fixed cost base while increasing its flexibility. Trad-X, Tradition’s hybrid trading platform for OTC derivatives, initially launched for trading euro interest rate swaps (IRS EUR), is now operational for dollar (IRS USD) and sterling (IRS GBP) interest rate swaps, as well as interest rate options (IRO). Since the launch, Trad-X has matched close to 20,000 orders amounting to a notional matched of approximately CHF 1.2TN. The company stated publicly that other currencies will be traded on this platform depending on market trends and changes in regulation. The non-IFRS revenue from interdealer broking business (IDB) was down 5.2% in constant currencies, with a decrease in most asset classes with the exception of foreign exchange and commodities. Revenue from commodities which comprised mainly of energy and metals products was slightly higher, benefiting from the development of energy business in Asia-Pacific which was partly offset by reduced activity levels in the Americas. The decrease in revenue was mostly seen in fixed income and equity products. Interest rate products while overall down on the same period last year, benefited from the revenue development in electronic businesses for interest rate derivatives, Trad-X, now covering dollars and sterling in addition to euros. The revenue from the forex trading business for retail investors in Japan (Non-IDB) was up 27.3% continuing from the trend observed in Q4 2012 driven by the increased volatility of the yen. Reported revenue for the first half of 2013 was CHF 475.9m compared with CHF 512.4m for the six months ending 30 June, 2012, a decline of 5.7% in constant currencies. This amount excludes group’s share of revenue of joint ventures which have been consolidated in accordance with the equity method since January 2013. This essentially concerns the currency options business operated by Tradition-ICAP, and the forex trading business for retail investors in Japan operated by Gaitame.com Co.Ltd. The non-IFRS underlying operating profit (which excludes exceptional costs) increased by 22.2% in constant currencies to CHF 46.7m, for an underlying operating margin of 9.1% (H1 2012 : 7.4%). Exceptional items include an amortisation charge of CHF 2.0m (H1 2012: CHF 2.8m) in respect of the group’s intangible assets as well as net exceptional costs (consisting mainly of legal costs and reorganisation costs) of CHF 6.4m (H1 2012: CHF 10.0m). The related intangible assets will be fully amortised in March 2014. Reported operating profit for the first half of 2013 was CHF 28.8m compared with CHF 22.3m for the first six months of 2012, an increase of 35.0% in constant currencies. Consolidated net profit was CHF 26.6m compared to CHF 17.3m for the equivalent period last year with a group share of CHF 21.5m (H1 2012 : CHF 13.5m), up 66.6% at constant exchange rates. The consolidated tax charge for the period benefited from lower non-deductible expenses following the group’s cost reduction efforts. Consolidated shareholders’ equity totalled CHF 358.2m on 30 June 2013 of which CHF 302.4m was attributable to the group’s shareholders. The group will pursue its development and investments in technology with the continuous deployment of new electronic initiatives. Tradition maintains that financial markets remain difficult to predict and against this backdrop, adapting the industry to technologies in order to respond effectively to the changing regulatory frameworks, and keeping a tight rein on costs, will be essential for improving the group’s annual performance.